We absolutely love this book. 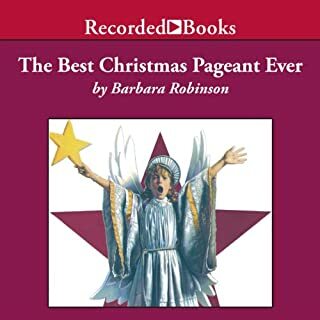 the author and narrator do so well at capturing the perspective and voice of a child while making profound observations about life and people in general. I would put this right up there with A Christmas Carol for re-centering your holiday celebration on what matters most about Christmas. 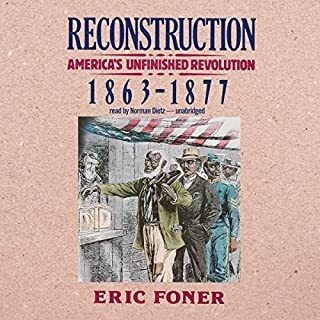 This is one of the best books on American history that I have read yet. FD was a man of absolutely towering intellect and soul. his account of his life will benefit ANYONE wishing to think of themselves as historically literate Americans. 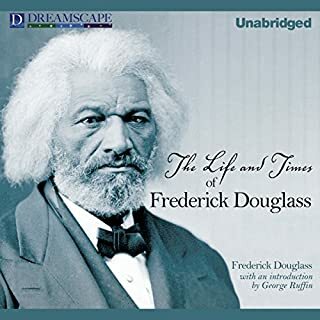 Everyone knows in their mind that slavery was wrong, but FD's personal telling of how it touched his life that add a spiritual and emotional depth to that understanding that cannot be gained elsewhere. It will dispel many myths about the past that still exist among Northerners and Southerners alike. I believe we cannot move on from our troubled past until we understand it better, and this book is an essential part of that journey. With no formal education at all, FD shows tremendous aptitude as a philosopher, psychologist, sociologist, economist, and theologian. As a professional economist myself, I now believe FD was certainly one of the most gifted social scientists of his time though he is not recognized as such. I feel I have profoundly benefitted from the perspective this book offers, and I encourage all to read it carefully. This is an extremely important book. the narrator is a bit much at times, but you will learn to understand America much better by reading this book. WHERE HAVE ALL THE EISENHOWER REPUBLICANS GONE??? 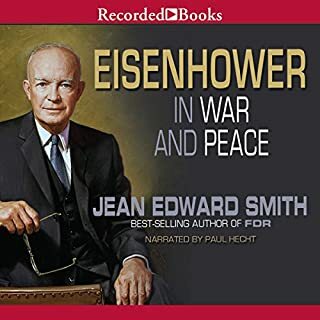 What made the experience of listening to Eisenhower in War and Peace the most enjoyable? I thoroughly enjoyed this book for many reasons, partly because history is a hobby of mine and I have special interest in WWII and Cold War. BUT during the 2016 election cycle in particular, I think it will make for a very interesting read (at least the last third on Eisenhower's Presidency) for Republicans and Democrats alike, as it gives a needed window into a past where compromise, bipartisanship, and effective governance were easier to come by. Eisenhower balanced the budget (no small task, post WWII! ), was a foreign policy pro during the height of the Cold War, and he is the only President of the 20th Century to preside over 8 consecutive years of uninterrupted peace and prosperity. These are hallmarks of what Republicans past and present claim they can do, but what sets him apart from today's Republicans (the vast majority anyway), is that He also: (1) was a staunch opposer of McCarthyite fear mongering, (2) he raised the federal minimum wage to over $9/hr (in 2016 dollars), and (3) he was the first president ever to attempt passage of universal healthcare for all Americans, based on healthcare available to military personnel [narrowly defeated, but believe it or not, this was a Republican undertaking first!!!]. He also commissioned the interstate highway system (to date the largest public works project in American history), appointed 5 judges to the Supreme Court (FIVE!!! ), and was the first president to de-segregate the federal government and use Federal authority to oppose the States' rights crowd at the beginning of the Civil Rights movement (including using military force to de-segregate a high school in Little Rock, AR). And his work during a long and prominent previous military career is a whole other story... What a fascinating President! I appreciated also how open and unflinching the author was about presenting his life as it was, both good and bad. EXCELLENT READ for anyone who is interested in modern American history. ABSOLUTE REQUIRED READING for anyone of either political party who has come to believe that crossing the aisle and cooperation in government are no longer possible.